What Should I do in a Bicycle Hit and Run? Craig Ashton sat down with Edward Schade on a recent episode of All Things Legal to discuss the hit-and-run law that every biker should know. In early June, seasoned bicyclist and running legend Bill Finkbeiner was walking on a bike trail in Sacramento when he was struck from behind by an oncoming bicycle. The bicyclist did not stop to help Finkbeiner and quickly fled the scene after the collision. Despite Finkbeiner’s extensive injuries, the district attorney decided not to pursue hit and run charges. The argument against Finkbeiner was that he was walking on the wrong side of the bike trail. In regards to bike trails, pedestrians are encouraged to walk on the left side of the trail facing traffic. This allows them to see oncoming bicyclists and vice versa. Since Finkbeiner was walking with traffic, he could have had some fault in the collision and the bicyclist was off the hook. However, in a different situation, the bicyclist could have been at serious fault. California has two types of hit and run offenses that apply to motor vehicles: misdemeanor and felony. A misdemeanor offense can occur if an individual leaves the scene of an accident without exchanging information or identifying oneself to the other individuals involved and an individual’s property is damaged. Felony hit and run is much more serious and typically results from an incident causing injury or death. What most people do not know is that bicyclists have the same rights and responsibilities as motor vehicle drivers. Hit and run laws apply just as much to bicyclists as they do to any driver on the road. 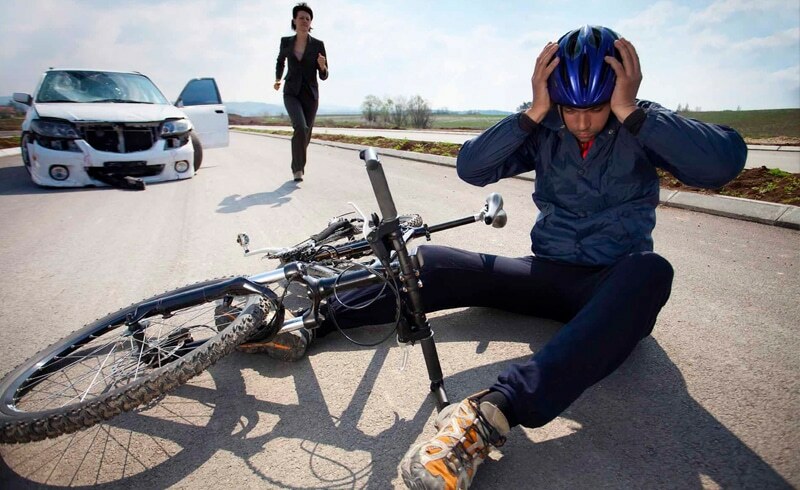 If you ever find yourself in any type of bike or vehicle accident, always remember to stay at the scene. Communicate with the respective party and exchange information. No matter who was at fault, it’s never okay to leave the scene until the responsible actions have been made. If you find yourself faced with a bicycle injury, you’ll need an experienced attorney to deal with the aftermath of the accident and get you the reparations you deserve. Contact the compassionate and dedicated legal experts at Ashton and Price Attorneys at Law by calling 1-877-MY-INJURY to schedule your consultation today! What Are the Steps of a Personal Injury Case? Burning Man Tragedy – Is the Festival at Fault? Copyright © 2015 Ashton & Price LLP. All rights reserved.